How an SDSC can help your city? Technology is only as valuable as its impact on real life. Learn how we helped Chicago create a strategic decision support center (SDSC) and reduce shootings by 70%. How an SDSC can help *CITY NAME*? An SDSC is a crime-fighting nerve center that facilitates decision making through increased intelligence and better understanding. Built using dedicated hardware and software solutions, they are housed in local police departments of big and small cities. They help law enforcement groups develop proactive strategies to meet the challenges of their specific neighborhoods. Learn how to set up an SDSC. How can an SDSC help your city? By unlocking insights from local datasets, an SDSC improves policing and creates safer communities in cities of all sizes. Need help developing a cost-effective action plan?  Speak to a Genetec SDSC expert. "We were data rich, but information poor." "We used to spend a lot of time burning copies of evidence and delivering them." "We’re partnering with local businesses to implement solutions which will connect back to our real-time crime center." Join Chicago and start on your path towards building a safer community. You’re one step closer to protecting your city with an SDSC. Our team will be in touch with you soon. In the meantime, check your inbox for our SDSC from the ground up guide. Pellentesque cursus lacinia elit porttitor feugiat. Mauris aliquet viverra purus. Etiam quis erat sit amet ligula sagittis imperdiet. Maecenas enim est, viverra eu condimentum nec, condimentum a mi. Etiam ipsum velit, pulvinar eget nibh et, tincidunt cursus sapien. Morbi eget commodo ipsum, ac lacinia magna. Suspendisse potenti. Nullam a pharetra est. Genetec develops open-platform software, hardware and cloud-based solutions for the physical security and public safety industries. We are focused on delivering innovation that makes life work better and are committed to helping businesses protect the everyday. ©2018 Genetec Inc. All rights reserved. Thank you for visiting! This page requires a newer browser. Consider installing the latest version of your browser or try using a different browser to get the best web experience. © 2018 Genetec Inc. All rights reserved.